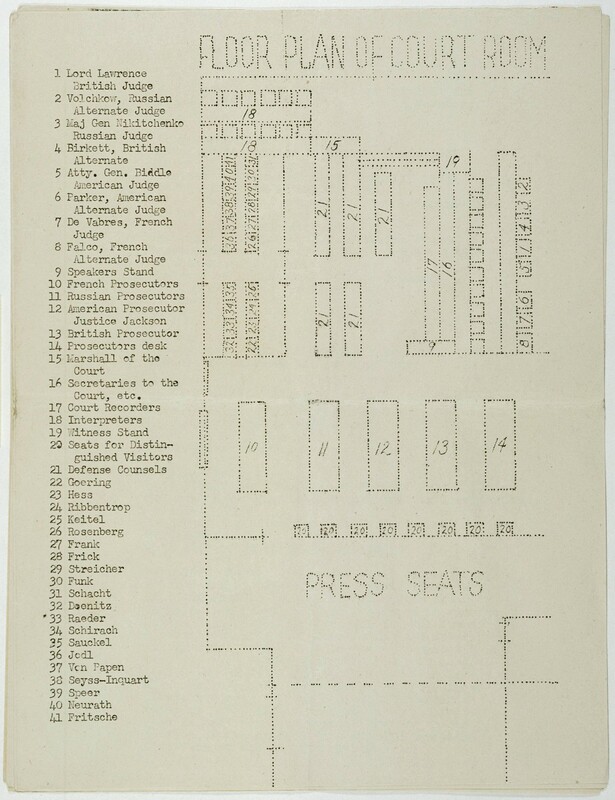 Floor plan of the courtroom. The plan appeared in a mimeographed program booklet distributed at the International Military Tribunal at Nuremberg. 1945.